Ultimate probably isn’t the first sport that comes to mind when Ethiopia is mentioned. This landlocked East African nation is famous worldwide for its long and middle distance runners, but in the country’s capital, Addis Ababa, a few university students are learning the ways of the disc and eager to bring their skills back to their rural communities. Tadesse skys another player in the team's first season at the Haile Selassie Stadium at Addis Ababa University. Ethiopia’s first ultimate club started in early 2012 at Addis Ababa University. 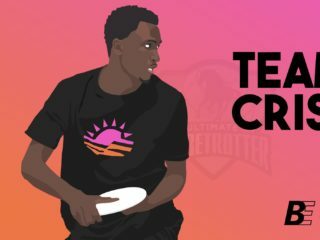 It was founded by Berhan Aynalem, a fourth year civil engineering student who learned to play ultimate at the International Community School where his uncle works. Now entering its second year, the club has aspirations to have the sport recognized at the national university games and to participate in international tournaments. Berhan struggled to register the club with the university’s athletic department who demanded a letter of introduction from an international ultimate body, a constitution, and a full cabinet of elected positions. Working with Eline Bakker Kruijne, a request was made to WFDF, which was turned down on account that “WFDF does not issue such letters.” Finally, BULA (Beach Ultimate Lovers Association) and NFB (Dutch Flying Disc Association) provided invitation letters to the new club. 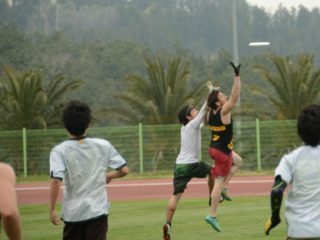 For a constitution, a Google search found the Cambridge University Ultimate Frisbee Club’s constitution, which was adopted as a template. For the cabinet positions of a club with only one existing member, Berhan submitted a dummy roster using friends’ ID cards for vice president, treasurer, and secretary complete with meeting minutes including an election (which was replaced once the team attracted committed players). To everyone’s relief, the documents were accepted, and the first ever practice of the Addis Ababa Ultimate Frisbee Club was set for March 13th, 2012. Now registered open throwing sessions and pick-up games at Addis Ababa University’s Haile Selassie Stadium on Saturday mornings attracted hundreds of students to the sport of Ultimate, many of whom spend time there hanging out and doing homework on the bleachers. Those adventurous souls who latched onto the sight of discs soaring through the air later came to make up the team’s core members. The team watches their first ever ultimate game, NexGen vs Furious George. The team is comprised of Addis Ababa University undergraduate students on scholarships from rural families who are living in the campus dormitories. With Ethiopian national average incomes at USD$400 per year [World Bank, 2011], these students live on shoestring budgets, and leapt at the opportunity to learn a new sport in their free time. Discs, jerseys, and cones were organized and donated by team NUTS of Amsterdam, the Netherlands. The team grew to include over twenty members consistently, although up until now, attracting female players had been a challenge. 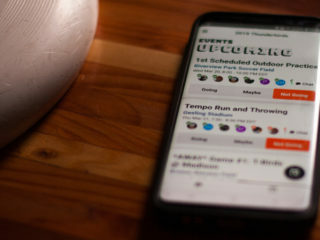 Outside of the team, and aside from the spectators that gather in the crowded university campus – often picking up a disc to try out throwing on the sidelines – there is little awareness of the sport. As more experience in the sports is gained, players hope to return to their rural hometowns, and help introduce the sport more widely throughout the country. The team meets twice a week for two hours of fitness training, skills training, and scrimmaging. With two players in the Sport Science department at the university, warm-up rituals often follow the dynamic stretching style practiced by Ethiopia’s famous long distance runners. A five push-up penalty was instituted for the side being scored upon in scrimmages. Basic player positions, offensive strategies (i.e. the stack), and defensive strategies (i.e. the mark, the force) have been introduced. While the official language of the University is English, communication between foreign trainers, Nels Nelson (USA) and Eline Bakker Kruijne (the Netherlands), and the players can sometimes be difficult, requiring translation to the official state language of Amharic by the club president Berhan. A revolving cast of other foreigners have joined practices from time to time, running drills and joining scrimmages in an effort to impart the skills, knowledge, and Spirit of the Game needed by the players who until recently had never known the sport. The team starts practice on their new fields in November. Teaching the basic offensive and defensive strategies of a sport without any foundation in Ethiopia has been challenging for the trainers. 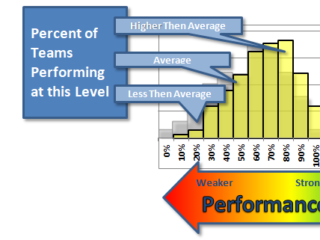 While catching and throwing skills have been picked up quickly by the athletes, the basics of the stack, force and stall count are still not institutionalized. To enforce the concept of the force, each sideline is demarcated by colored cones, so defensive teams force either “blue” or “white”. 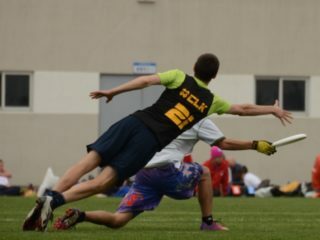 Thanks to the growing discourse and videos of drills and tactics online, trainers are able to use footage to illustrate Ultimate concepts, helping to build a stronger understanding of the sport for the athletes. Addis Ababa University Ultimate plays their first competitor, the expatriate pick-up players. At the end of its first season, the Addis Ababa University team was invited to play against the international community’s pick-up players one evening under lights. In preparation, a team night was held with soda and snacks, and they watched their first “real” Ultimate games on a projector – NexGen vs Sockeye and NexGen vs Furious George. The team was most inspired by the lay out catches and coordinated plays. On the big game day, the team took public minibuses across the city with their game faces on, and arrived ready to play. After some intense and focused warm-ups, the game started. Conditions were windy, favoring the more experienced throws on the expatriate team. The University team responded with superior speed and a dynamic give-and-go style of play. In the end, the expatriates edged out the university team 17-15, but the young players gave a good show against their first adversaries. Now in the team’s second season, all non-graduated players have returned to the field, and some new blood has been added as well. Hopes are high for this year. On December 8th, the Addis Ababa University team will have its first match against the team from the International Community School, a private high school for foreigners. Hussein Anwar explains the evening's practice for the team. The next step for the team is a demonstration game at the National Ethiopian University Games, January 2013 at Arba Minch University, which represents an official recognition of the sport. Some standard equipment is needed, as some players still have not been able to buy shorts or athletic shirts, and no players have cleats. In fact, many players run on plastic sandals or flip flops that are kicked off as players run deep. The team also needs to train hard to be able to give a good showing without too many turnovers and exciting action on the field. With national recognition, it may be easier for players to apply for passports and visas in order to attend international tournaments in the region with more developed Ultimate programs, such as the Annual Kigali Ultimate Tournament (Rwanda), F.E.A.S.T. Beach Ultimate Tournament (Mombassa, Kenya), or 7hills Classic Ultimate Tournament (Kampala, Uganda). International competition will help the club lose the soccer mentality and learn what ‘Spirit of the Game’ – Ultimate’s essential ingredient – really means. Within Ethiopia, there is ambition to start clubs at regional universities, and for Addis Ababa University Ultimate team members to spread the sport back in their hometowns. The club is looking to organize a workshop for trainers next year, as an effort to equip aspiring coaches with the tools necessary to lead teams around the country. Following the model of the regionally venerable 12-year-old Uganda Ultimate Frisbee Association, club teams outside of universities will also help develop the sport through stable, long-term player membership. As a landlocked, Sub-Saharan, least developed country with an exceptional high poverty rate even for its region, Ethiopia faces many challenges. Nevertheless, these highly motivated university students are eager to advance the sport in their country. As a game of fair play, ultimate encourages players to have self confidence and sportsmanship, and as a mixed-gender sport, it promotes much needed gender equality and women empowerment. These ingredients, together with the excitement of being part of something new, are meshing with Ethiopia’s ancient cultures and athletic heritage.